THE PLACE TO SHOWCASE AND EXPAND ON NEW HIRES, PROMOTIONS & SPECIAL ACCOMPLISHMENTS! 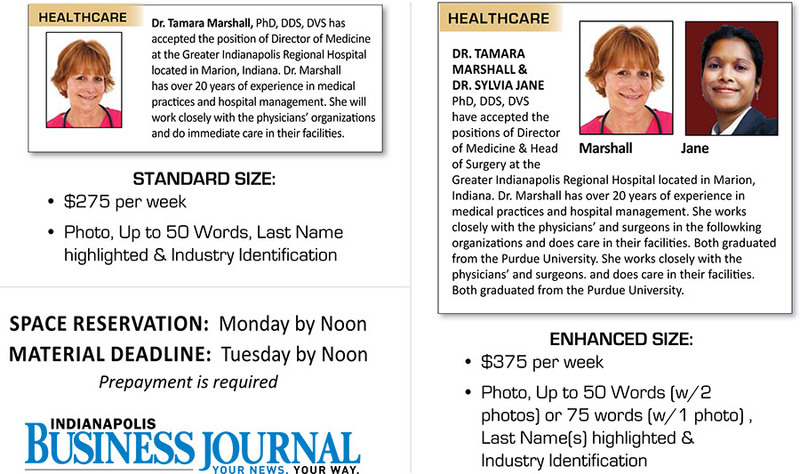 opportunity to purchase an expanded listing with a color photo for a new hire, promotion or recognition. SECURE YOUR PEOPLE PLUS SPACE TODAY!